It’s a sequence that has scandalized England. On Saturday, Southampton received Cardiff for the 26th day of Premier League. 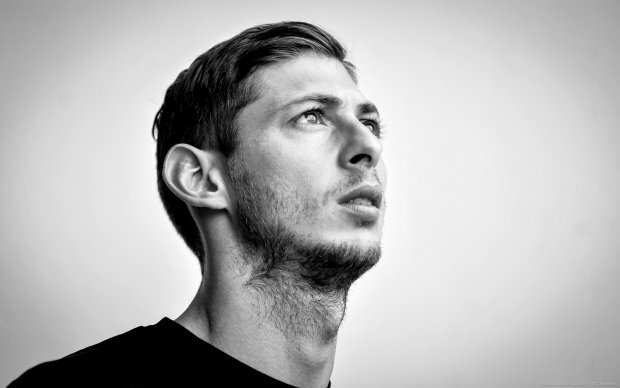 During the minute of silence, some fans made fun of the disappearance of Emiliano Sala, who tragically died in an air crash just before joining the Welsh club last month. Mimed planes during the tribute to Emiliano Sala. A video posted on Twitter showed some supporters doing these gestures, while the body of Argentinian striker was found in the Channel at the beginning of last week. The plane of Sala had disappeared near the English coast on January 21st, after a flight which connected Nantes to Cardiff. On social networks, the video caused a huge commotion. The two supporters are now permanently excluded from the stadium of Southampton. The statement added that sanctions will be taken against all supporters who committed these actions: ” Such behavior has no place in our game and will not be tolerated at St. Mary’s. The club will be extremely severe towards anyone guilty of such acts and intends to ban these supporters once identified.” Despite these mockeries, the minute of silence was very moving for both teams. This entry was posted in SPORTS and tagged Emiliano Sala, Southampton. NBA: The Sixers’s “Big Four” is already impressive! After Denver, the “Brand new Sixers” just won their second big game by taming the Los Angles Lakers at home (143-120) under the pulse of their starters Joel Embiid (37 pts) and the newcomer Tobias Harris (22pts). After their two big wins, Philadelphia seems to be ready to lead the East. The club with its recent transfer is ready for the coming season. The Sixers adaptation phase is going well for Tobias Harris. He was traded from the Los Angeles Clippers last week before the trade deadline. He is already effective with 22 pts scored, 9 of 14 shooting for his second game with Philadelphia. Harris was not the only one to shine against LeBron James (18 pts 10 rbs 9 ast). The Cameroonian Joel Embiid walked on the opposing paint the whole evening. He finished with 37 points, and missed just four shots during the game. The shooter J. J. Reddick added 21 points, Jimmy Butler 15 and Ben Simmons with just 8 points and 7 assists. The Australian player is the one who suffers the most (individually speaking) from Harris’s arrival. It’s maybe the best association in the East, if they can find a good alchemy among these four superstar players. They have perhaps a poorer dynamic than Milwaukee or Toronto. But the Sixers are the most promising team. 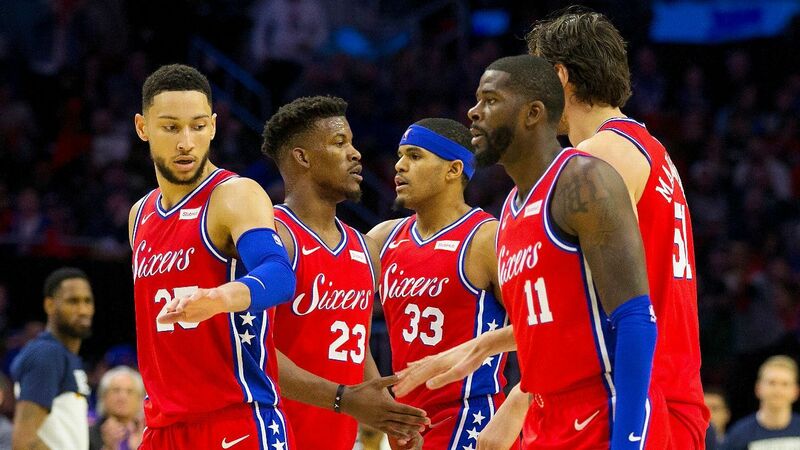 Philadelphia has good chance this year to go to the NBA Finals, with this new impressive team built during the trade period last week. They added new players calibrated to compete stronger teams, like Boston, Toronto or Milwaukee. Indeed Tobias Harris is a good shooter who can take the important decision and Boban Marjanovic, 7’3″ tall, is a good option to capture rebounds. Brett Brown the Sixers’s coach who has without a doubt the best center of the NBA, Joel Embiid, can compete his first NBA Finals this spring. This entry was posted in SPORTS and tagged Basketball, Embiid, Lakers, NBA, Philadelphie, Sixers, usa. Yesterday, at Twickenham stadium, England defeats France 44-8 in the Six Nations Championship. The biggest defeat since 1911 for the French team, who seems to be in big difficulty since the beginning of the tournament. With the head down, the XV of France lost again for the 4th time in five games, the second in the tournament after their first defeat against Wales. Unable to react, the French were outranked by clearly superior English at all moments of the game. This meeting, highly expected from rugby fans, turned into an English recital so much the match was unbalanced from the first to the last minute. A catastrophic performance by the French who show a sad face during this competition. If the English seem to be favorite for the final victory, the situation is very complicated for the French team. With a catastrophic playground, they seem unable to win a game during this competition. A reaction is urgently needed for this team, otherwise they will receive the Wooden Spoon, award gifted to the worst team of the competition. The first elements of outcome will occur on February 23 during the match against Scotland at Stade de France. This entry was posted in SPORTS and tagged Rugby, Six Nations Championship, Tournoi des 6 nations, XV de France. Calvary continues and the infirmary fills for the PSG. After Neymar, it is Edinson Cavani and Thomas Meunier who will be unavailable for the shock against Manchester United. The Uruguayan “Matador” was to secure Paris offensive on Tuesday, February 12 with Kylian Mbappé and Angel Di Maria at Old Trafford, in a role of finisher. Cavani absent, it is the best Parisian scorer of early 2019 (7 goals) that disappears. Yesterday, Edinson Cavani was injured during the match. Replacement options are rare. There is Eric-Maxim Choupo-Moting, but the Cameroonian, author of a small goal in L1 who played only 50 minutes in the Champions League this season, disappoints at every appearance. Another solution would be to put Julian Draxler in the middle in an offensive task, in support of Mbappé, only in point. As if that was not enough, the PSG will also have to do without its right side Thomas Meunier, injured against Bordeaux on Saturday. The Belgian international needs to “rest until the next neurological inspection at the end of the week,” said the club Sunday. This entry was posted in SPORTS and tagged #foot, #neymar, ballon, capitale, Football, FRANCE, goal, Manchester United, mbappé, Paris, pogba, PSG, rashford, SPORTS. The Olympique Lyonnais – AS Saint Etienne rivalry is the most famous opposition between French clubs, undoubtedly. Tonight, the 117th derby will take place. Ouest France- AFP (11/21/17)The two cities are separated by only 51 kilometers, but the differences between them are huge. Lyon, the “Light City”, has always been the city of the rich and Saint-Etienne was the poor one. Put in crude terms, the white collars lived in Lyon and the blue collars in Saint-Etienne. The silk vs the coal. Didier Drogba announces the end of his career at the age of 40, having competed for the last season with the shirt of the team of Phœnix, in the second American division. He announced the news on Twitter, thanking his teammates, coaches and the supporters of all the teams where he has played in the past twenty years. The best striker of the history of Ivory Coast (104 selections in national team, 65 goals), started in France with several teams (Le Mans, Guingamp, Marseille), then he went to England (Chelsea), China (Shanghai), Turkey (Galatasaray), Canada (Montreal) and finally he achieved his successful career in the United States (Phoenix). He experienced his most splendid years with the Blues (Chelsea), particularly the triumph in Champions’ League in 2012. In France, his career was particularly marked by his passage in Olympique de Marseille, which is considered here as the greatest moment of his career. The player ended his career after a match in Louisville city, two weeks ago in a defeat of his team of Phoenix 1-0 in final of the USL Cup. Drogba joined Phoenix, a club of which he’s one of the shareholders, in 2017 after one and a half season spent in the North American elite, the MLS, with Montreal (2015-2016). A French soccer player who made history for the last two decades. This entry was posted in SPORTS and tagged Chelsea, Didier Drogba, Football, OM, retirement. The Davis Cup’s final between France and Croatia begins this afternoon. 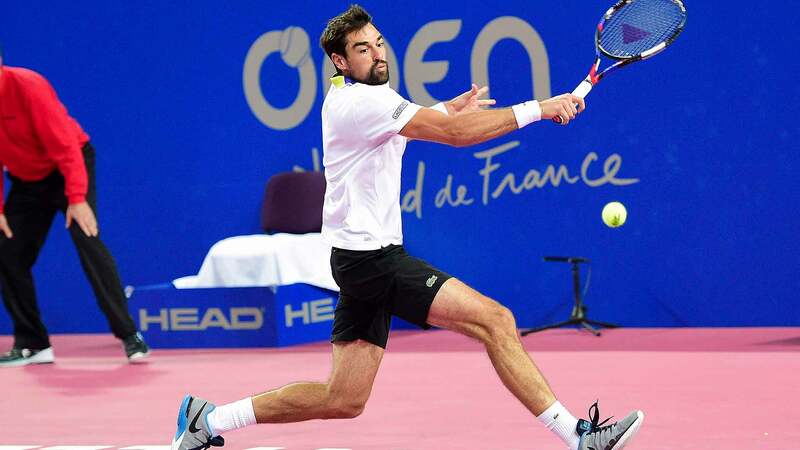 For the first two singles, a surprising French composition, Jeremy Chardy and Jo-Wilfried Tsonga, will respectively face Borna Coric and Marin Cilic. After this battle, the French player, Jo-Wilfried Tsonga (ATP 261) will face Marin Cilic (ATP 7). Tsonga’s ranking is explained by all his injuries. The Frenchman is just coming back from a long absence… On Saturday’s double, Nicolas Mahut and Pierre-Hugues Herbert will play against Mate Pavic and Ivan Dodig, before Sunday’s reverse singles, if required. It will be hard for the French team, to win the “Silver Cup” for the second consecutive year. But “impossible is not French”! This entry was posted in SPORTS and tagged Croatia, Davis Cup, FRANCE.